IT JUST DOES NOT GET BETTER THAN THIS! 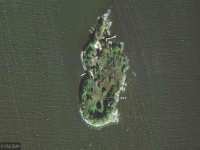 KIRK ISLAND ON THE MINNESOTA SIDE OF LAKE OF THE WOODS IS SITUATED RIGHT IN THE HEART OF LITTLE TRAVERSE BAY. ISLAND BOASTS 1400 . . . DISCOVER THIS 3 BEDROOM/2 BATH YEAR ROUND LAKE HOME ON BRUSH ISLAND. FEATURES INCLUDE 2688 SQ. 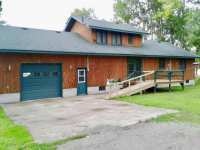 FEET OF LIVING SPACE, NATURAL WOOD WORK, VAULTED CEILINGS, WELL, SEWER, . . . ESCAPE TO THE LAKE! HERE'S A RARE OPPORTUNITY TO PURCHASE THIS OAK ISLAND OASIS WITH A CUSTOM BUILT YEAR-ROUND HOME LOCATED ON 350 FEET OF PRIME PROTECTED LAKE OF THE . . . COURTESY LISTING: SCOTT PAHLEN REALTY, INC.
SPRING FED LAKE OF THE WOODS PRIVACY! 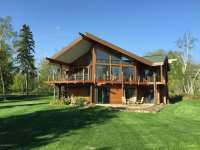 THE ULTIMATE LAKE HOME WITH 310' OF FRONTAGE NESTLED ON A BEAUTIFUL LANDSCAPED ACRE WITH GUEST QUARTERS, GREENHOUSE, AND 3 SEASON . . . COURTESY LISTING: REAL LIVING MESSINA & ASSOCIATES, INC. 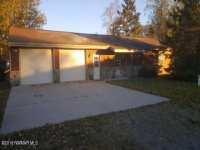 BUILT IN 1968, REMODELED AND ADDED ON IN1999, WHICH MORE THEN DOUBLE THE SIZE OF THE HOUSE.GARAGE (3 STALL WAS ADDED) IN 2008. OLD GARAGE WAS MOVED AND TURN INTI STORAGE . . .
GORGEOUS LAKE HOME WITH A LITTLE SOMETHING FOR EVERYONE! THIS YEAR-ROUND LAKE-HOME FEATURES A SPACIOUS KITCHEN, LIVING ROOM, AND DINING ROOM, CUSTOM OAK CABINETS, 3 . . .
2.11 ACRE PENINSULA LOT ON BRUSH ISLAND WITH 1190' OF LAKE OF THE WOODS FRONTAGE! LOT ON SALE, MOTIVATED SELLERS! CONTRACT FOR DEED OPTION AVAILABLE. OVER $25,000 IN NEW UPDATES! STEEL ROOFS, SOFFIT AND FACIA, EXTERIOR PAINT AND APPLIANCE UPDATES. 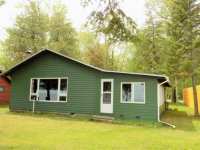 4 BEDROOM/2 BATH HOME/CABIN ON THE NORTHWEST ANGLE WITH ALMOST 300' OF . . . AFFORDABLE LAKE HOME! 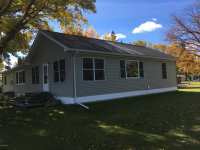 NICE AND CLEAN 2 BEDROOM 1 BATH, EQUIPPED SANDY SHORES LAKE HOME WITH TWO CAR HEATED ATTACHED GARAGE ON AN EXCELLENT LOT OVER LOOKING LAKE OF THE . . . LOT 5 OF NORTHWEST ANGLE. "DRIVE TO" LOCATION. 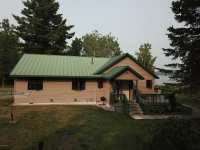 SEASONAL USE CABIN ON FLAG ISLAND WITH 500' OF LAKE OF THE WOODS FRONTAGE. THIS CABIN WILL TAKE YOU BACK IN TIME TO A PEACEFUL ERA. LAZY SUMMER DAYS ON THE LAKE OF THE WOODS. ENJOY THE WARM SANDY BEACH, SWIMMING, FISHING AND BUILDING SAND . . . 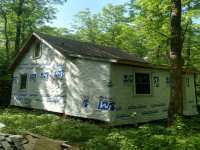 COMPACT 16X16 CABIN NESTLED ON 1.6 ACRES ON FLAG ISLAND. 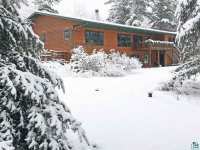 PROPERTY OFFERS LEVEL TERRIAN, SAFE HARBOR, PROTECTED BAY AND ACCESS TO ISLAND TRAIL SYSTEM. GREAT STARTER CABIN . . .
GORGEOUS 6.2 ACRE LOT ON FLAG ISLAND. 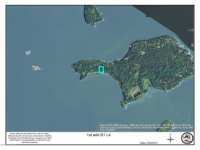 PROPERTY OFFERS DEEP WATER AT SHORELINE, NATURAL RIPRAP, NATURALLY PROTECTED HARBOR, TRAIL TO FLAG ISLAND RSORT, AND SHORE POWER ON . 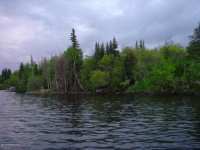 . .
1.36 ACRE LOT ON BRUSH ISLAND WITH 200' OF LAKE OF THE WOODS FRONTAGE. LOT ON SALE, MOTIVATED SELLERS! CONTRACT FOR DEED OPTION AVAILABLE. 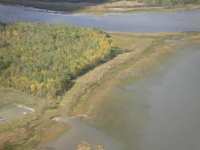 1.5 ACRE WOODED PARCEL ON BRUSH ISLAND OFFERING 360 FEET OF LAKE OF THE WOODS FRONTAGE. POSSIBLE CONTRACT FOR DEED FINANCING AVAILABLE. OWN A PIECE OF AN ISLAND WHERE YOU'RE SURROUNDED BY GREAT VIEWS, GREAT FISHING &AMP; NATURE. WHETHER IT'S A BALD EAGLE, PELICANS SOARING OR THE LOCAL WHITETAIL DEER, . 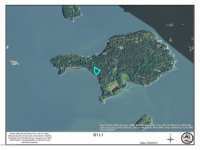 . .
NORTH SHORE 4.2 ACRE LOT ON OAK ISLAND. 230 FEET OF NICELY ELEVATED SHORELINE OFFERS PRICELESS VIEWS. PROPERTY ALSO FEATURES SMALL DOCK HOUSE NEAR SHORELINE, CONNECTION . . .
1.73 ACRE LOT ON BRUSH ISLAND WITH 220' OF LAKE OF THE WOODS FRONTAGE. LOT ON SALE, MOTIVATED SELLERS! CONTRACT FOR DEED OPTION AVAILABLE. 1.51 ACRE LOT ON BRUSH ISLAND WITH 200' OF LAKE OF THE WOODS FRONTAGE. LOT ON SALE, MOTIVATED SELLERS! CONTRACT FOR DEED OPTION AVAILABLE. POINT PROPERTY ON THE NORTHWEST ANGLE ON THE WALLEYE FISHING CAPITAL OF THE WORLD, LAKE OF THE WOODS. 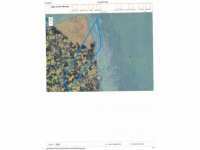 LOT IS PLATTED AND SURVEYED FOR SEPTIC SYSTEM IN TWO LOCATIONS. . . . 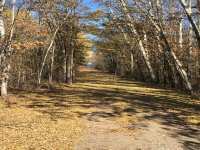 UNIQUE OPPORTUNITY TO OWN A BEAUTIFULLY WOODED LAKE LOT AT THE NORTHWEST ANGLE! ENJOY BEING ON THE WATER WHILE STILL BEING ABLE TO DRIVE TO YOUR PROPERTY. 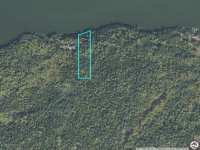 1.54 ACRE LOT ON BRUSH ISLAND WITH 215' OF LAKE OF THE WOODS FRONTAGE. LOT ON SALE, MOTIVATED SELLERS! CONTRACT FOR DEED OPTION AVAILABLE. 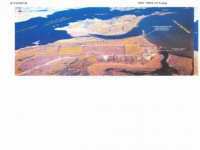 1.57 ACRE LOT ON BRUSH ISLAND WITH 215' OF LAKE OF THE WOODS FRONTAGE. LOT ON SALE, MOTIVATED SELLERS! CONTRACT FOR DEED OPTION AVAILABLE. 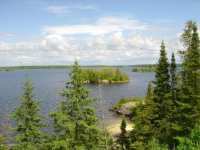 1.76 ACRE LOT ON BRUSH ISLAND WITH 200' OF LAKE OF THE WOODS FRONTAGE. LOT ON SALE, MOTIVATED SELLERS! CONTRACT FOR DEED OPTION AVAILABLE. 1.8 ACRE LOT ON BRUSH ISLAND WITH 240' OF LAKE OF THE WOODS FRONTAGE. LOT ON SALE, MOTIVATED SELLERS! CONTRACT FOR DEED OPTION AVAILABLE. 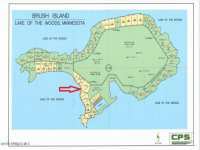 1.65 ACRE LOT ON BRUSH ISLAND WITH 215' OF LAKE OF THE WOODS FRONTAGE. LOT ON SALE, MOTIVATED SELLERS! CONTRACT FOR DEED OPTION AVAILABLE. 1.83 ACRE LOT ON BRUSH ISLAND WITH 225' OF LAKE OF THE WOODS FRONTAGE. LOT ON SALE, MOTIVATED SELLERS! CONTRACT FOR DEED OPTION AVAILABLE. 1.84 ACRE LOT ON BRUSH ISLAND WITH 320' OF LAKE OF THE WOODS FRONTAGE. LOT ON SALE, MOTIVATED SELLERS! CONTRACT FOR DEED OPTION AVAILABLE. 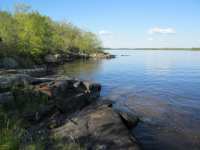 1.23 ACRE LOT ON BRUSH ISLAND WITH 200' OF LAKE OF THE WOODS FRONTAGE. LOT ON SALE, MOTIVATED SELLERS! CONTRACT FOR DEED OPTION AVAILABLE. 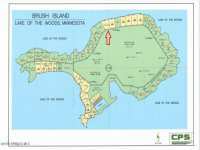 1.27 ACRE LOT ON BRUSH ISLAND WITH 200' OF LAKE OF THE WOODS FRONTAGE. LOT ON SALE, MOTIVATED SELLERS! CONTRACT FOR DEED OPTION AVAILABLE. 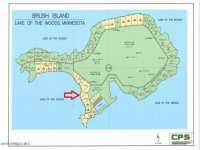 1.2 ACRE LOT ON BRUSH ISLAND WITH 200' OF LAKE OF THE WOODS FRONTAGE. LOT ON SALE, MOTIVATED SELLERS! CONTRACT FOR DEED OPTION AVAILABLE. 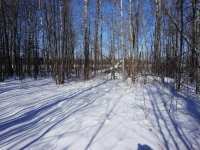 16 Listings in Angle Inlet MN ..
28 Listings in Baudette MN ..
15 Listings in Northwest Angle MN ..
3 Listings in Oak Island MN ..
1 Listings in Roosevelt MN ..
15 Listings in Solon Springs WI ..
7 Listings in Williams MN ..